The title ‘Railroad Humours’ and the poster comes from the 1926 book by Carmarthen stationmaster Thomas Phillips (below). Tags: Event, Music, railway, Songs, Story, Storytelling, Trains, travel, UK, video, Wales | Permalink. 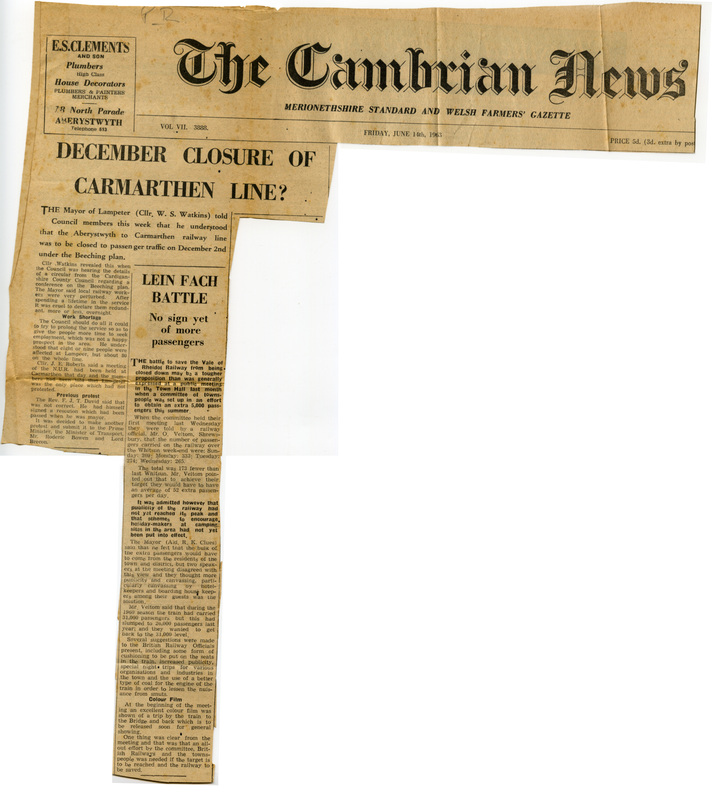 All the hard campaigning work by Traws Link Cymru has successfully convinced the Welsh assembly to carry out a full feasibility study into reopening the Carmarthen – Aberystwyth line! Tags: news, railway, Trains, travel, UK, Wales | Permalink. Tags: Aberystwyth, Art, artist, Carmarthen, Ceredigion, Event, old stations in wales, photos, railway, Railways, Trains, UK, Wales | Permalink. 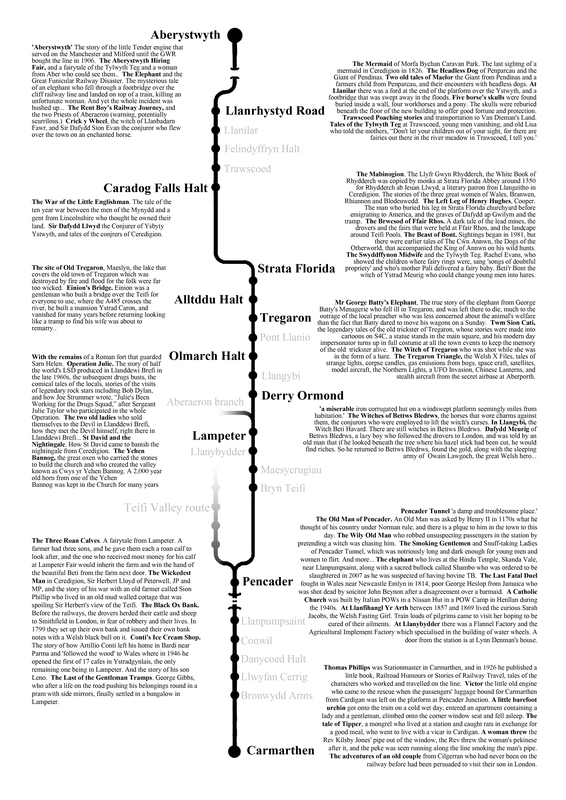 Tags: Art, Railways, stories, Trains, UK, Wales | Permalink. Tags: Aberystwyth, Ceredigion, old stations in wales, railway, railway line, Railways, Trains, UK, Wales | Permalink. A collection of images from the line taken during site visits. Casgliad o ddelweddau o linell a dynnwyd yn ystod ymweliadau safleoedd. Tags: Aberystwyth, Art, artist, Carmarthen, Ceredigion, Event, news, old stations in wales, railway, Railways, stories, Storytelling, Trains, travel, UK, Wales | Permalink. 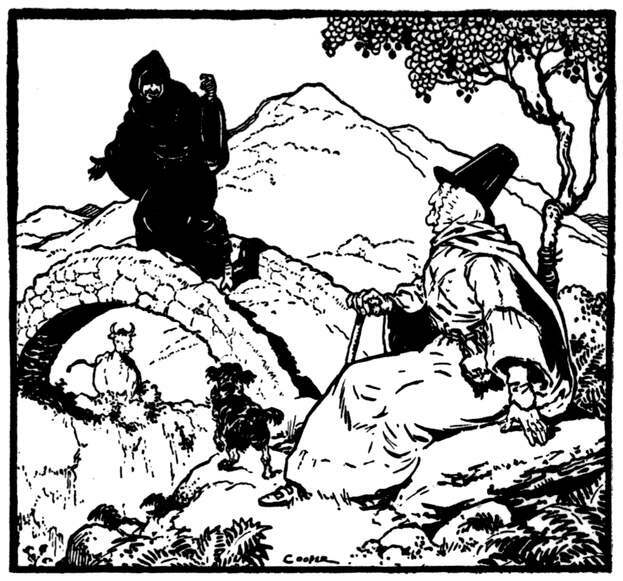 The project begins with picking Jacob up and his recording equipment and traveling to the home of storyteller Peter Stevenson in Aberystwyth. I want to say a little bit about why I chose peter and why Peter has been captivated so much by the idea. I met Peter through a mutual friend Ruth Hogg, I remember he was carrying an accordion and wore a large coat. His soft intelligent voice was so captivating and his friendly smile seemed to put you at ease, as if you had known him all your life. Peter was one of the first artists I talked to about collaborating with me on Singing the line into existence, he was enthusiastic and wanted to know more. Peter said “I have walked most the line , there are many stories from all along there” and that, was as much as he has told me. during the years Peter has told me “Jo! I have found another one” I would say “can I hear it?” he would reply “ when the time is right” Finally, the time is right! We arrive at Peter’s mid morning and soon it becomes apparent that none of us can work without a cup of tea or on empty stomachs, so we made tea then made lunch before any work is done. Lunch was a medley of salads, dips and pitta bread. lovely!! I eat really fast eager to hear the stories I have been waiting for 3 years. Peter reads out snippets of stories, these bite size stories tantalise our imagination and it starts to become clear that these will inform the structure of the work. As it was a beautiful day we decided to bundle into my very small car and do some investigating. We drove first to Caradog Falls Halt and the story of The War of the Little English Man and then to Tregaron to locate the old station and hear about George Batty’s Elephant. We stopped at the Strata Florida station in Ystrad Meurig and visited the church and the Abbey to hear and film more stories from Peter. These long car journeys, have been a sort of “office” we have found them to be great way to talk about ideas and plan what were are going to do next. The plan for today was to go to the Gwili heritage railway and film Peter telling stories from the book ‘ Railway Humours or Stories of Railway Travel’ by Thomas Phillips, stationmaster in Carmarthen, published in 1926. It was extremely rich to hear the stories as we traveled on a steam train. A very important part of this journey was arriving at the goods shed at Llwyfan Cerrig to pick up a train window. As we travel to the various locations I am thinking all the time on how to use the visual and spoken word from them, developing movement work with the train window at them and learning to communicate how we embody space. 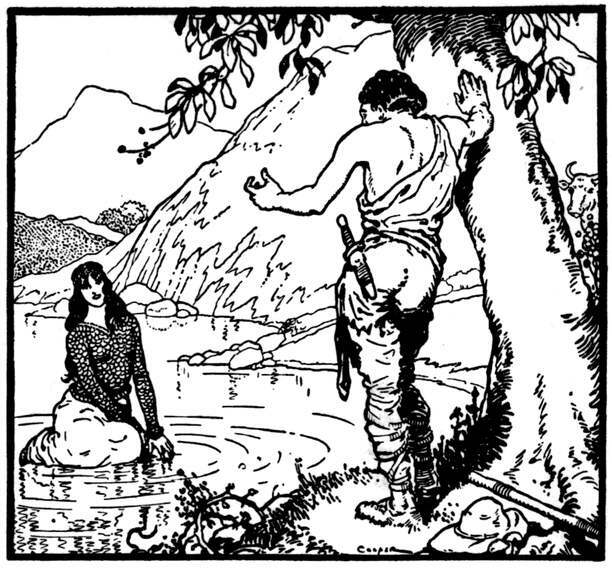 In Pencader and Bryn Teifi we heard about the flirtatious goings on in the long dark tunnel, about Sarah Jacobs the fasting girl of Llanfihangl ar Arth and about the old man of Pencader and his encounter with Henry II. On to Lampeter we found the site of the largest stations on the line and followed the line to the bridge still standing alongside the road bridger on the Teifi (near Co-op). Over lunch at Conti’s Peter told us the history of the Conti family, of George Gibbs the last of the gentlemen tramps and of the Black Ox Bank and how before the railways, the drovers herded their cattle and sheep to Smithfield in London, in fear of robbery and their lives. In 1799 they set up their own bank and issued their own banknotes with a Welsh black bull on it. 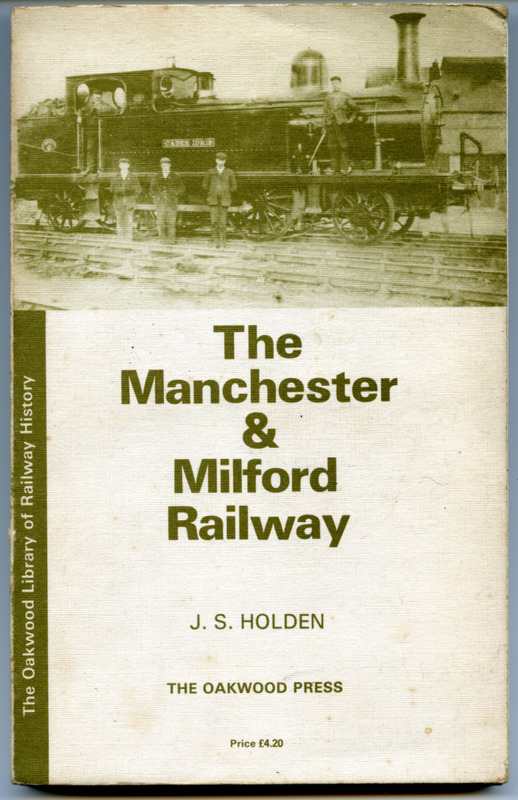 Heading North we arrived at ‘a miserable little corrugated iron hut stood on a wind and rainswept platform on the downside, seemingly miles from any human habitation.’ as described by J.S Holden in ‘The Manchester & Milford Railway’, or Derry Ormond in the village of Bettws Bledrws. Here in the last standing station that remains on the line we filmed and listened to Peter telling us stories about the witches of Bettws. Further still to the site of Olmarch Halt where we learnt about Operation Julie and how half the world’s LSD was produced in nearby Llanddewi Brefi in the late 1960s, the subsequent drugs busts, the comical tales of the locals, stories of the visits of legendary rock stars including Bob Dylan, and how Joe Strummer wrote, “Julie’s Been Working for the Drugs Squad,” after Sergeant Julie Taylor who participated in the whole Operation. Near Tregaron we stopped near the lake called Maeslyn, site of the drowned ‘Old Tregaron’ and filmed on the old line, now cycle path, near Allt Ddu Halt. This particularly stunning part of the line’s journey was awe inspiring as the sun shone, buzzard’s cries filled the sky and the stories of the bog and the tylwyth teg fed our imagination. I used this opportunity to experiment with moving in the landscape and on the line with the train window, reflecting the emotional experiences shared by anyone travelling through the landscape. Tags: Aberystwyth, Art, artist, Carmarthen, Ceredigion, old stations in wales, railway, railway line, Railways, Songs, Story, Storytelling, Trains, UK, Wales | Permalink. Sounds of old trains greeted an audience in Oriel Myrddin on Saturday 22nd August as they arrived and received their tickets to embark…The room filled and the audience were welcomed with a song from Joanna Bond with percussion from Ceri Rhys Matthews (this version below is accompanied by the train sounds). With a cup of tea visitors were invited to look at the exhibition layed out around the room – a selection of documents, maps, drawings, photographs and objects from the last three years research work including ceramic tiles made on a railway platform at Aberdyfi, a carriage window and a milk churn used in a performance by Joanna inspired by the Pont Llanio creamery. Storyteller Peter Stevenson told a few colourful stories from the line’s past and Ceri Rhys Matthews performed some wonderful songs and music from the area including ‘Trip i Aberystwyth’ a song specifically written about a journey along the line. Tags: Aberystwyth, Art, Carmarthen, Ceredigion, Event, Music, railway line, Railways, SInging, Trains, UK, Wales | Permalink. Hi all, great news – We got an Arts Council Award! 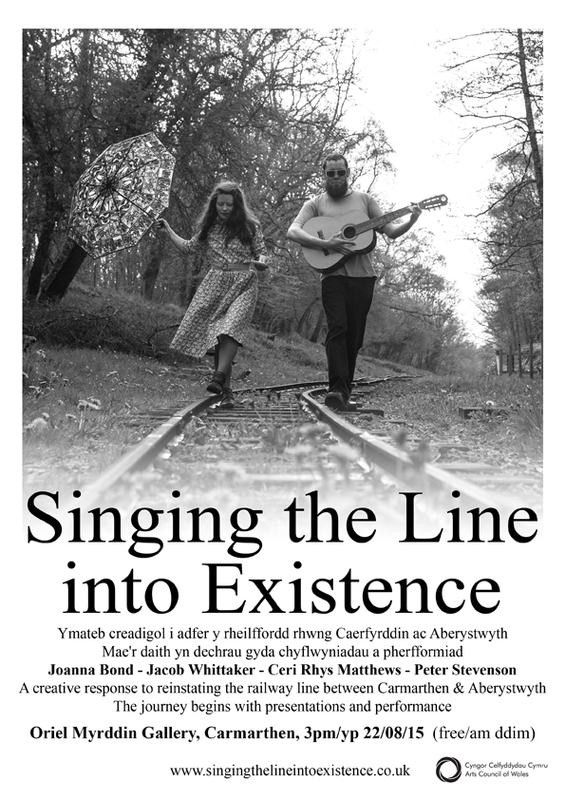 “Artist and member of the Traws Link Cymru committee Joanna Bond has been awarded a Grant from the Arts Council of Wales for her project Singing the Line into Existence – a creative response to reinstating the railway line between Carmarthen and Aberystwyth. 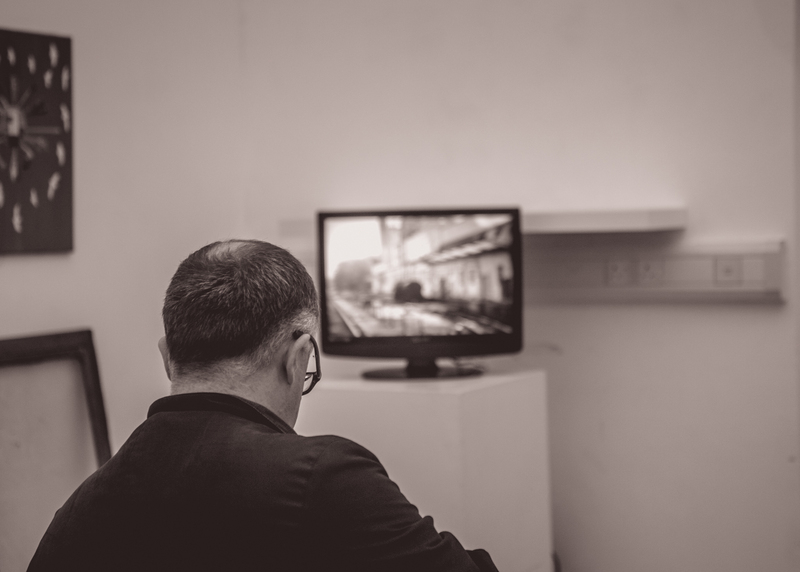 It has been 3 years in development and involves a number of local artists including Ceri Rhys Matthews, Jacob Whittaker and Peter Stevenson, telling stories, singing songs and creating video and performances along the line. 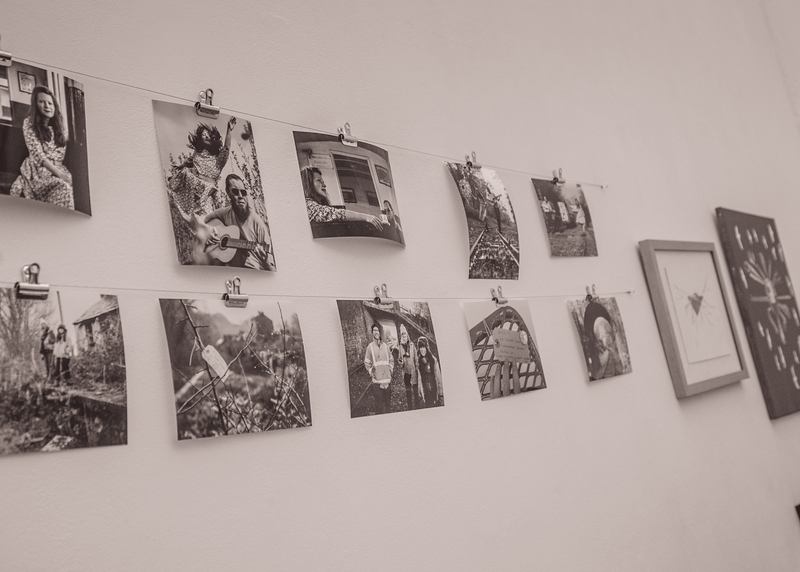 The project launches at 3pm on August 22nd with a free event in Oriel Myrddin Gallery where there will be an opportunity to learn more about Joanna’s artistic vision and her research to date as well as the ongoing campaign to reopen the line through presentations from the artists and Traws Link Cymru as well as performance and exhibition. 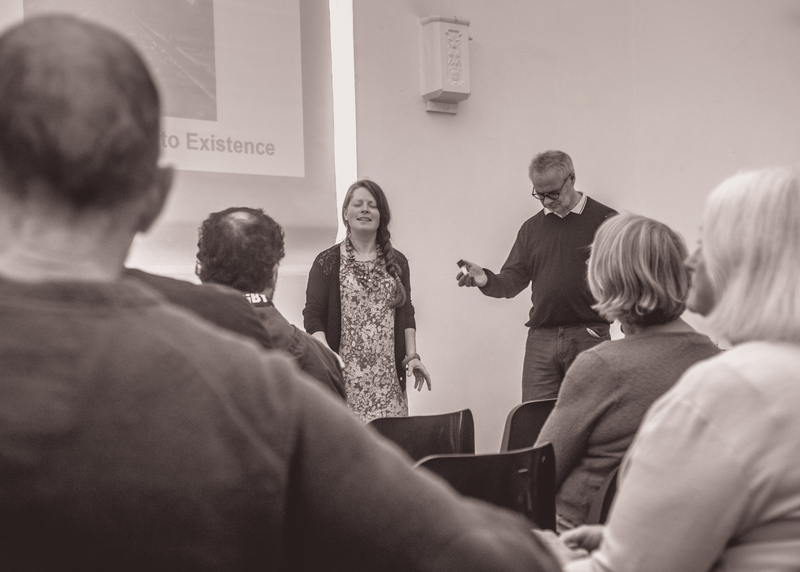 Following the launch event the artists will begin to explore and experiment along the route of the line, learning about the histories and landscapes and creating new video, sound and performance works for the destination event at 7pm in Ceredigion Museum, Aberystwyth on October 3rd (£3 entry). Mae’r artist ac aelod o bwyllgor Traws Link Cymru Joanna Bond wedi derbyn Grant gan Gyngor Celfyddydau Cymru am ei phrosiect Canu’r Llinell i mewn i Bodolaeth – ymateb creadigol i adfer y rheilffordd rhwng Caerfyrddin ac Aberystwyth. Mae wedi bod *ati am 3 blynedd yn datblygu ac yn cynnwys nifer o artistiaid lleol, gan gynnwys Ceri Rhys Matthews, Jacob Whittaker a Peter Stevenson, adrodd straeon, canu caneuon a chreu fideo a pherfformiadau ar hyd y llinell. Rydym yn croesawu chi i ymuno â ni wrth i ni ddechrau cyfnod newydd o’r daith, i ddysgu mwy am y brosiect drwy arddangosfa a rhannu gwaith ac ymchwil a ddatblygwyd yn ystod y 3 blynedd diwethaf, gan gynnwys cyflwyniadau gan Joanna a Traws Link Cymru a pherfformiad gan Ceri Rhys Matthews. Tags: Art, artist, Carmarthen, Ceredigion, Event, Music, Railways, SInging, Trains, UK, Wales | Permalink. so colourful in that sterile environment, it brings some homeliness to the carriage. I like to make myself at home on trains. It takes the awkward edge off sitting so close to strangers, having something interesting to do. The actual knitted railway line is simply inspired by rail depiction on old OS maps, the black and white line wending along the contours of the map punctated by the round red stations. Someone sits down right opposite us on a train and there is an intimacy right there, immediately a gleaning of information and subconscious judgements are made. Sometimes nothing is said ( white or black section with pattern). 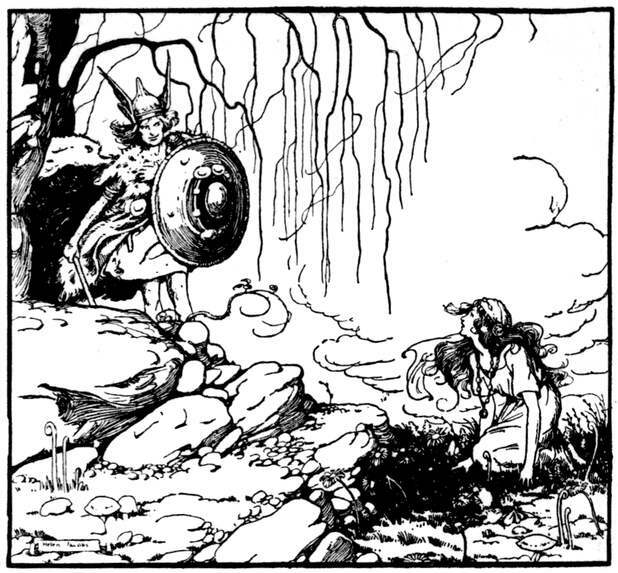 Sometimes we test the water with a small comment or joke ( one line of colour – ‘one liner’). And then perhaps a conversation is struck up (and as it develops judgements we have made get left behind with the passing landscape) and we begin to see the person in colour. Actually I enjoy making a whole story up about the person opposite me. The colour changes as we get to know the person. 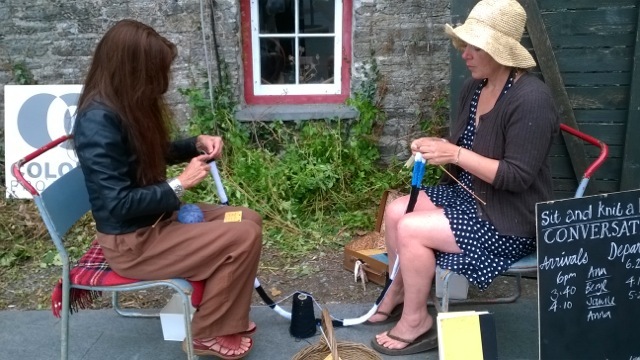 We are both knitting different ends of the same line, heading in different directions but ultimately connected. As we are all connected. The whole journey is represented. Perhaps the colour or texture of the passing landscape is knitted, maybe an atmosphere is created – maybe something red catches the eye in an otherwise green scene. Metaphorically speaking the conversation may have red warning flecks in it. People knit what they are going through at the moment. This is reflected in the tension of the work. 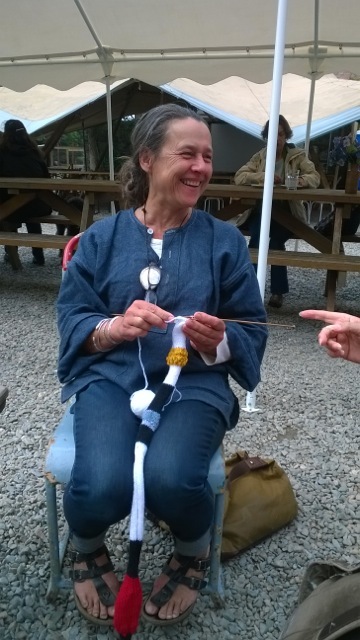 Tension is important in knitting; there is tension when we have to sit that close to a stranger. We pay attention. 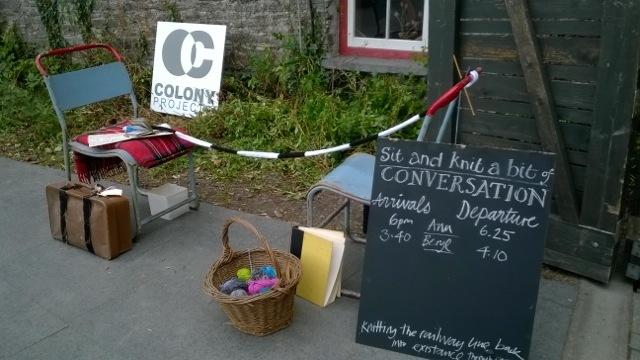 In life we carry conversations with us on our journey through life, skills we learn are passed on through conversations – knitting itself is passed down through generations – down the line. 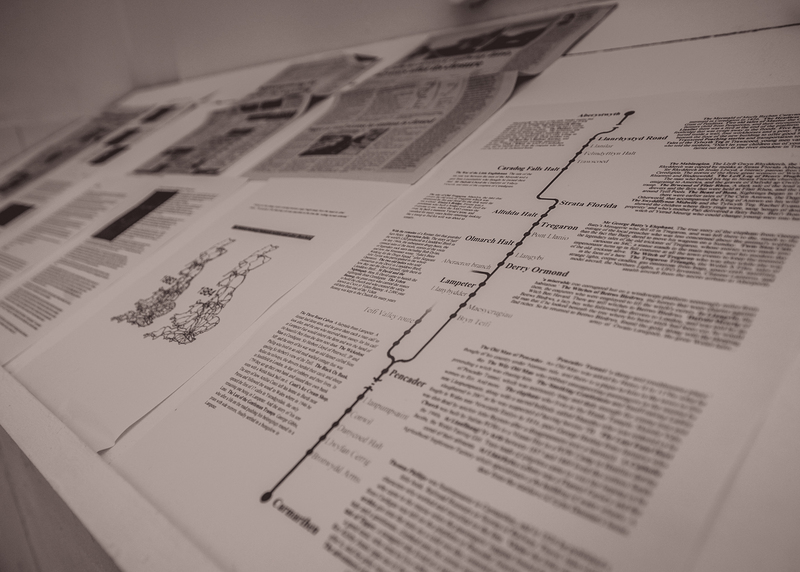 The knitted line can be seen as a printout of our lives’ journey. 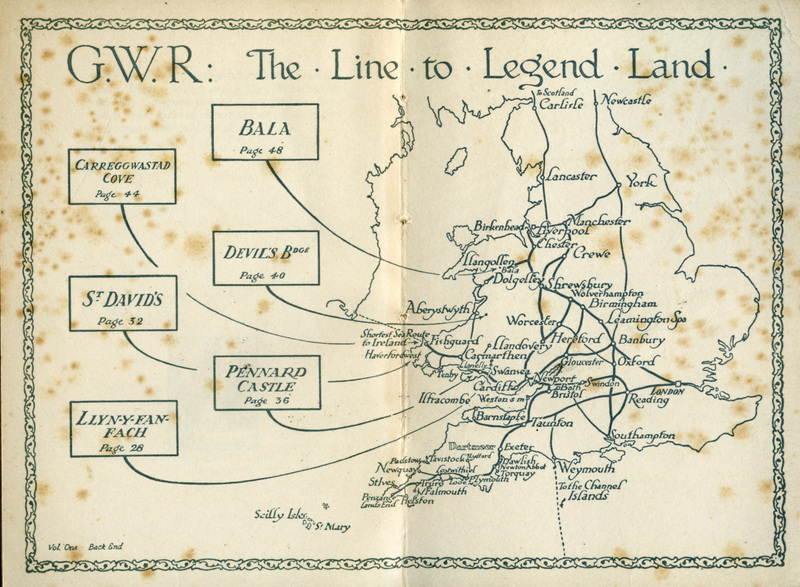 And it would also be very nice if they would reopen the line south from Aberystwyth. I’m going to keep knitting the line until I can get on that train. 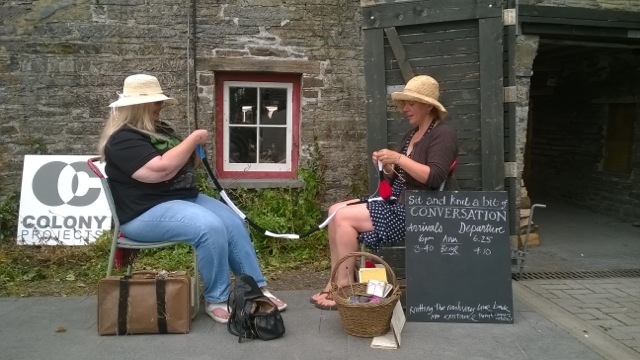 Tags: Art, Ceredigion, knitting, photos, Wales | Permalink.